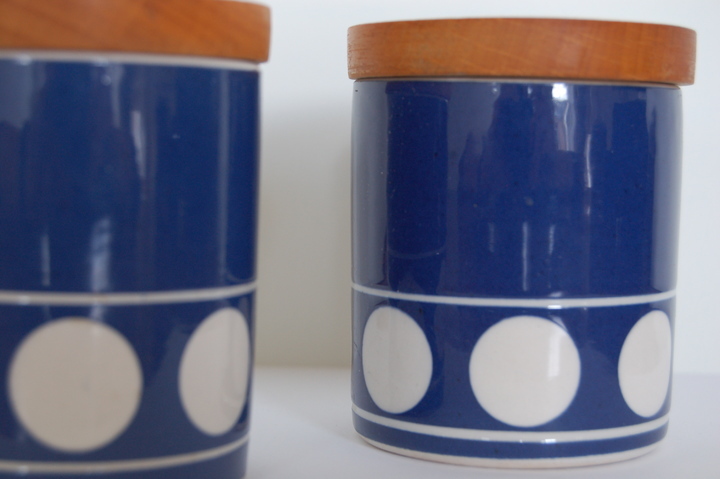 two T G Green pots, Jersey range in blue with wooden lids. 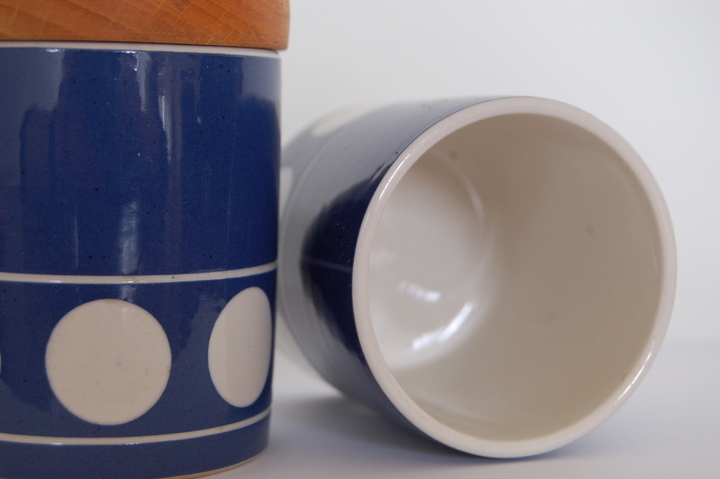 Bold design and striking colour. 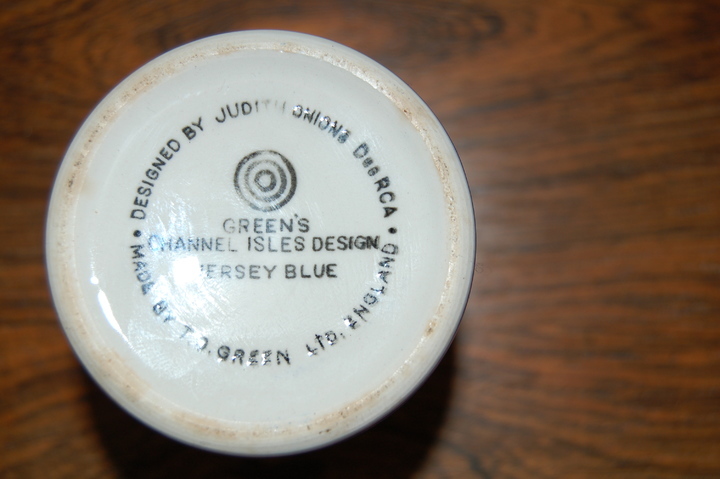 One marked: Designed by Judith Onions Des RCS - Made by T G Green Ltd, England - Bullseye mark: Green's Channel Isles Design Jersey Blue.